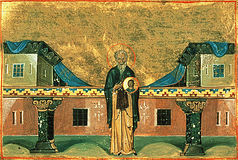 St. Nicetas the Confessor, abbot, of Medikion (824). Martyrs Elpidephorus, Dius, Bithonius, and Galycus (3rd c.). Virgin-martyr Theodosia of Tyre (307-308). St. Illyrius, monk of Mt. Myrsinon in the Peloponnese. 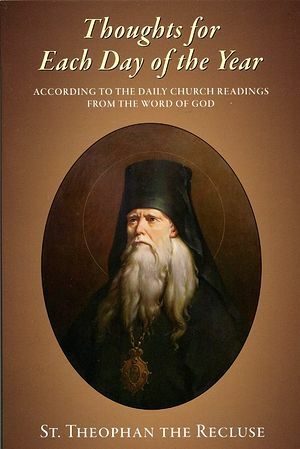 St. Philip I, metropolitan of Moscow (1473). St. Nectarius, founder of Bezhetsk Monastery (Tver) (1492). Icons of the Most Holy Theotokos “The Unfading Flower” and Iveron. Martyrs Cassius, Philip, and Eutychius, of Thessalonica (304). Martyr Ulphianus of Tyre (306). Martyrs Evagrius, Benignus, Chrestus, Arestus, Kinnudius, Rufus, Patricius, and Zosima, at Tomis in Moesia (ca. 310). St. Fara (Burgundofara) of Eboriac (now Faremoutiers) (7th c.). St. Joseph the Hymnographer, of Sicily (883). New Martyr Paul the Russian, at Constantinople (1683). St. Amphilochius (Makris), elder, of Patmos (1970). Whoso stoppeth his ears at the cry of the poor, he also shall cry himself, but shall not be heard (Prov. 21:13). And we often marvel why God does not listen to our prayers? Here is the reason! Because there surely have been instances when we have stopped our ears from hearing the entreaties of the needy; so the Lord does not hear us either. It is no great woe if a prayer about something temporal is not heard; but how woeful if the Lord will not listen to us when we start to pray to Him about the forgiveness of our sins. He will not listen if the cry to Him of those whom we have scorned is stronger than our prayers. We must hurry to avert this extreme misfortune, according to the example of Zaccheus, whose wise decision caused the Lord to say, This day is salvation come to this house (Luke 19:9). Saint Nicetas the Confessor was born in Bithynian Caesarea (northwest Asia Minor) of a pious family. The Holy Martyrs Elpidephorus, Dius, Bithonius, and Galycus suffered for their faith in Jesus Christ. Saint Theodosia of Tyre lived during the third and fourth centuries. Once, during a persecution against Christians, which had already lasted for five years, the seventeen-year-old Theodosia went up to condemned Christian prisoners in the Praetorium in Caesarea, Palestine. Saint Illyricus the Wonderworker devoted himself to ascetic struggles on Mount Myrsinon in the Peloponnesus. On this icon the Most Holy Theotokos holds Her Divine Son upon Her right arm, and in Her left hand is a bouquet of white lilies.